You can still use your existing USB Type-A devices on your USB-C notebook. Simply connect your existing standard USB devices to your USB-C notebook with the CN-383 USB-C Hub 4 Port. 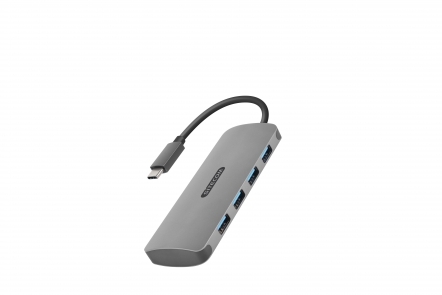 It plugs into your notebook’s USB-C port, adding four USB 3.0 Type-A ports, which enables you to quickly connect four standard USB devices. The CN-383 USB-C Hub 4 Port supports data transfer speeds of up to 5Gbps and can also be used to charge your USB devices with 900mAh. It is bus-powered, no external power adapter is required. The lightweight aluminum Hub has a built-in cable, making it the perfect portable addition to your notebook. 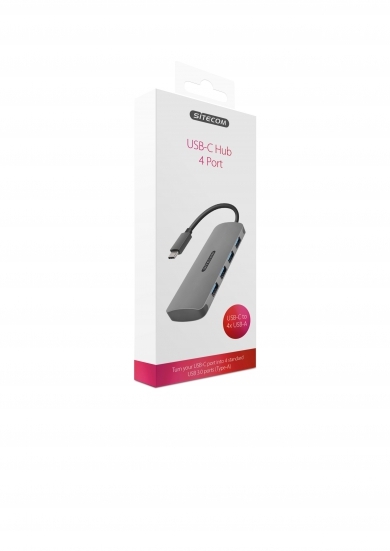 The CN-383 USB-C Hub 4 Port is fully Plug & Play, which means that no additional driver software is required so you can be up and running quickly.